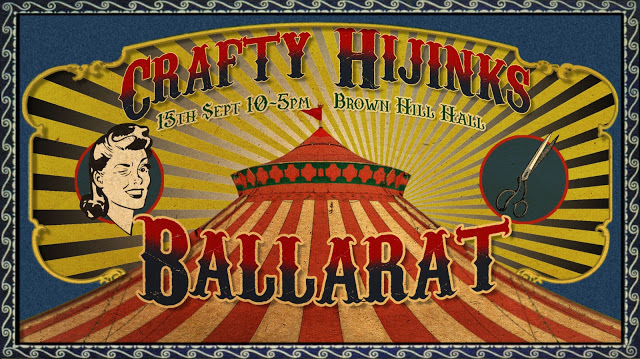 I have been looking forward to it for months, so it was very disappointing not being able to go, I ended up gluing myself to Instagram (#craftyhijinks) and enjoying the event this way instead - it looks like it was heaps of fun for the ladies who made it! Have you heard of thread den? They run social sewing nights and also have heaps of sewing classes (that cost $) available. Or what about brown owls? Regular crafty catch ups are run in various states and areas...I'm hoping to give one a try soon! Or general craft catch ups for UFO's. Or if your into having a drink while you stitch, these stitch and sip sessions might be more your style. Or if you want to meet up with friends who are crafty (or who have crafty kids in tow) you might like to try crafternoon cafe. As you can see I found quite a few crafty ones but not any bloggy ones :( maybe I'm searching for the wrong thing? Its selfish sewing week next week!